My open letter to the BBC and Eastenders. My son turns twelve in July this year, and two weeks after that will be the anniversary of his Type 1 Diabetes diagnosis. That will be seven years since he almost died from the onset of Type 1 Diabetes. Seven years of a minimum of four injections a day, seven years of multiple finger prick blood tests, seven years of having to weigh his food to calculate how much insulin to give him, seven years of sleepless nights, hypos (low blood glucose), hypers, hospital stays from simple childhood illnesses that his body can’t always cope with. Seven years of people’s ignorance. Understandably the average person doesn’t know much about Type 1 Diabetes, they don’t live it like we do and I can accept that. If I see something incorrectly written online on social media about diabetes, I gently correct people to try and make people more aware of the truth behind diabetes. I don’t rant at them, and mostly things said by a random person who has no idea of what an affect Type 1 Diabetes (or any other type of diabetes) has on a person’s life doesn’t affect me. I accept that I can’t educate the world about Type 1 Truths although through this blog and online I do try in my way. What I can not accept, is that the BBC feel it’s okay to make jokes about diabetes. Twice in recent months characters on Eastenders have made jokes or incorrect casual references to diabetes. Eastenders is one of my guilty pleasures, I’ve watched it since I was a child but I feel very let down by you right now. Kim’s comment on there last night which was along the lines of ‘It’s not a kid’s party if they don’t go home with Diabetes’ was not acceptable. True it may fit with the character, but you wouldn’t make jokes about other health conditions or disability on there. I don’t find it acceptable for such a high profile channel to make a joke out of a health issue that people die from, that people have to live their whole lives with. Type 1 Diabetes is not caused by eating sweets, chocolate or anything else lifestyle related. Small toddlers who have never even tasted sweets are diagnosed with it. There is nothing that myself or my son could have done to stop him developing Type 1 Diabetes. Also Type 2 diabetes is not always caused by lifestyle. You are tarring so many by the same brush undeservedly, but also even if the people out there whose Type 2 Diabetes was caused by lifestyle didn’t look after themselves….. do they really deserve to be mocked? NO ONE wants diabetes of any type. It isn’t just you who make the mistake of not differentiating between the types of diabetes, or of thinking it is okay to joke about, the media are guilty of this too and other television channels. That doesn’t make it okay though, it really doesn’t. This week my son has had a sickness bug… a simple childhood illness that for most means a snuggly sofa day and a sick bowl. For us it meant testing his blood levels constantly, testing for ketones which can be life threatening to people with Type 1 Diabetes. He had low blood glucose whilst still vomiting, this meant we spent hours battling to get him to a safe level. 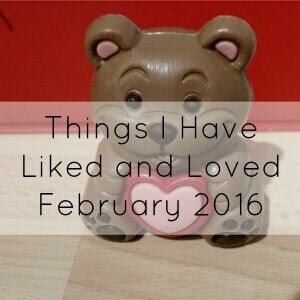 We very nearly had to go to the hospital, this has happened with some past sickness bugs. Going into hospital involves having a cannula in his hand and a drip to help his blood glucose levels… he knows this, so whilst I was battling his levels, he was begging me not to take him to the hospital. This is just an insight into what it is like to live with Type 1 Diabetes, yes I am sure many will say he could have ‘worse’ things, but that does not mean it is okay to joke about it. By making joky references to diabetes on screen, you are opening children up to bullying and spreading more ignorance. Please I beg you, stop with the diabetes references in a negative joking way. My son is not a joke. 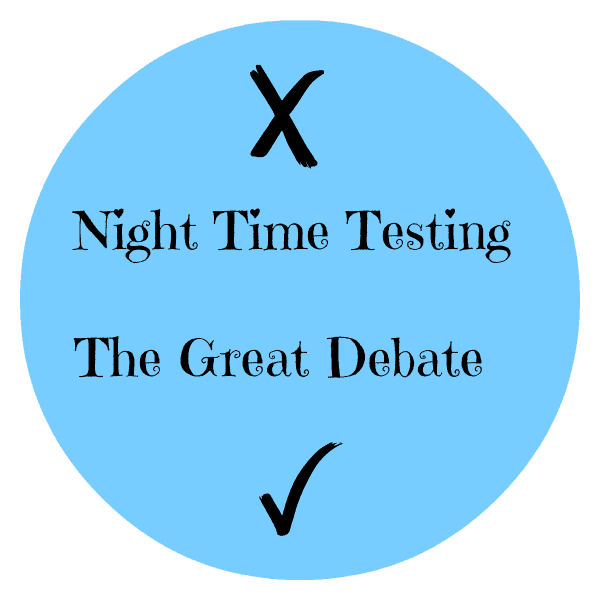 Type 1 Diabetes Night Testing – The Big Debate. Absolutely well said! Even type 2 can be genetic as it is in my family so fir the BBC to be making such ignorant statements like they have is astonishing. They need to do their research for once. Thanks Linda, and yes I totally agree no one wants diabetes and no one has an easy time with it, so to feel mocked is just awful. I’ve heard of loads of athletic people with type 2 and people who were on a medication or had a different health condition that caused it, no form of diabetes is a joke. Well said, I don’t watch eastenders very often but I sat with my type 1 daughter last night and I couldn’t believe my ears when that comment was made. Well said. My son (13) was diagnosed T1 last June. He recently had his school immunisations and his bg levels rocketed. Testing for ketones and due to go on holiday, scared to leave the safety of his hospital diabetic team, was very worrying. No laughing matter I can assure the BBC. Of my 4 children he was the one with the healthiest approach to food. Certainly no sugar junkie. He preferred a bunch of grapes to a bar of chocolate every time. He was recently asked if he was still diabetic! Came home from that encounter exasperated, bless him. I think the likes of Eastenders could really help educate the nation instead of ridiculing. Thanks Sarah, I hate it when he hears things like this on tv he sometimes asks me if that means it is his fault or mine… obviously I set him straight but awful to see his face when it happens. That’s outrageous to hear, Stevie. I have another friend with two diabetic children and to see what she goes through, I am full of both admiration and heartbreak for her. Shows like Eastenders have a responsibilty to be factual and sensitive to issues that cause heartache and worry for people. To use a comment like that, even if it was to illustrate a flaw in someone’s character is unnecessary and unacceptable. So true Lucy, it is just so frustrating! Very thoughtless and ignorant Eastenders. 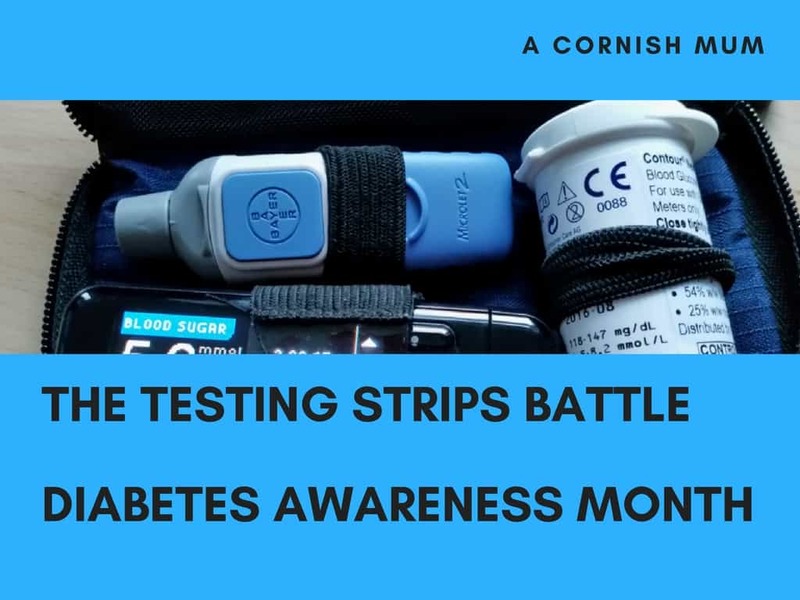 My son has had Type 1 diabetes for nearly 30 years and it is a very cruel, unrelenting condition that no one understands unless they have to deal with it. Well done for your emotional letter to the BBC, my daughter was diagnosed at 11 with Type 1 and my twin sister daughter at 11, they both are turning 20 years old this month, my mum became type 1 diabetic at age 10, she’s now 72. Trust me I totally understand your anger, and hope everything goes well for your Son when he starts his Career search, as being Diabetic is also a major player when perusing what you want to do later in life. My daughter would you believe is going to University, as long as she remain well. But she will probably have a pump fitted, so she can deal with the long working shifts. I tell you this, so you can consider the future. I never switch off, even though my daughters an adult, best wishes, Lindsey. I have shared your post on my Facebook page. I don’t watch eastenders but am appalled at what I hear. The other culprit is bloody Jamie Oliver. Never distinguishes between type 1 and 2. So infuriating! I think what doesn’t help is when people watch it and believe it then repeat it, my son hears it every day at school you got diabetes from eating sweets and cakes he says no it’s not caused by what you eat, they hear a comment like on tonight’s show and think he’s lying and it is from eating sweets. My son is in full denial of his D and suffers with anxiety and depression so hates people even talking about him having diabetes and making jokes about it, he hates people thinking he caused himself to get D and hates having to correct comments about it. Some adults and kids are maybe better equipped to deal with the comments and can brush it off, educate the person even laugh it off, but people like my son just go into a shell and not talk about it at all. Would they have a joke with someone saying oh look at that bald guy I bet hes got cancer, no as its inappropriate just as it is joking about Diabetes but it seems celebrities, comedians, west end shows, TV shows think it’s funny making jokes about Diabetes, well its not funny for people who have it and their families its getting beyond a joke now the amount if times its bought up in the wrong context just for entertainment to supposedly make people laugh. As a mum of a type 1 diabetic, diagnosed at 23 months, now 3, your words really ring true & thank you for standing up and being counted. OK to bash the Type 2s them Jo? You really would hope so! They’ve replied to some of the complaints saying that it was in character for Kim…. really feel that’s a rubbish excuse! Definitely. This is why I can understand slightly ignorant comments from individuals as they don’t live it, but some one like the BBC really does have a responsibility to be careful with what they say and to get the facts right. Absolutely not, however to distinguish between the 2 diseases would be helpful. The number of times that we hear on the television that eating too many sweets, fatty foods and such like is the cause of diabetes (without specifying type 2) is unacceptable. I realise as this blog states that not all type 2 diabetes is caused by lifestyle BUT. Type 1 diabetes IS NOT caused by sweets . Having been asked why I let my son get diabetes and was it because I gave him too many sweets, LOTS of times, means that stupid comments such as the one on eastenders fuel the general ignorance of people who believe that lifestyle causes type 1 diabetes. Also read the other comments Mark Parnell, not just me saying that there needs to be a distinction. Thanks Darren, we’ve had a rough week with ketones vomiting and constant stubborn hypos, so they annoyed me more than usual when it heard it last night! We know just how amazing and brave our little ones are! Thank you, I hope things go well for your daughter at University, my son constantly surprise me with how tough he is with al that he puts up with. Thanks Jo, I honestly think people like Jamie Oliver should leave mentioning diabetes full stop to people who actually understand what they are talking about. So may people with Type 2 diabetes have the condition through no fault of their own as well, very unfair for them to be slated in the media as well as it means people have a real lack of sympathy for diabetes full stop. Thanks for commenting Sharan, I completely agree diabetes of any type is not a joke and I hate that it seems to be treated as acceptable to make jokes about it in the public eye. My son hates telling people he has type 1, and it really shouldn;t be like that. My granddaughter was diagnosed T1 just before her second birthday. We nearly lost her. She’s now five and our little superhero. Every day is hard work keeping her level. No days off !!! I’m so sad that Eastenders got it so wrong. !!!! They need to come and live a day in our shoes! Oh Sam, 23 months that’s just so little. My son was 5, the only plus side is that they don’t remember not being Type 1 which makes them more accepting of it or so I’ve found. Type 1 children are made of a very special kind of tough. Hi Stevie. My 7 yr daughter was diagnosed last October and its still sinking in. I dont watch eastenders but having seen the comments on twitter last night i had to hear what was said. I was totally shocked. Mia doesn’t like sweets, she never has, so to hear that comment was unbelievable. The writers do so much research for other health issues they cover but they didnt think that was necessary for that little line. You hear on the news about type 2 diabetes because of peoples lifestyles changing but more awareness is needed for type 1. My daughter has fought this head on and i cant believe how brave she has been. I just hope people don’t presume that all diabetics have got this awful disease because they ate sweets!! These children should be praised with what they have to go through for the rest of their life. They truly are warriers! My pleasure Mark, I think the whole sugar tax thing has made things a lot worse at the moment as it’s in the media more for all the wrong and inaccurate reasons. I always try and be fair in my posts, as I know often type 2 isn’t caused by lifestyle and type 1 never is. Also even the people who do have type 2 due to their lifestyle really don’t deserve to be ridiculed, no one wants diabetes and no one finds it easy. I try to spread awareness whenever I can about the fact that type 1 diabetes is never caused by lifestyle or diet and neither is type 2 always, a lot of people get Type 2 from medications, medical conditions or genetics. I do hate how the media find it okay to make jokes, as no type of diabetes is funny. I was trying to explain to a co-worker how I wished she had stayed at home with a tummy bug to-day and how I, with T1 Diabetes and my son also with T1 Diabetes could pick it up and how dreadful it is for us to do so, she dismissed me like I was an idiot, of all things a tummy bug is the worst, you need your insulin but you are vomiting everything up, tummy bugs usually mean ending up in hospital! This point besides, your piece is very well written and so true and you get the point across so clearly. Thank you for sharing! Thanks Donna, I really hate that they seem to think this is okay! I feel better after writing this today, though I really did’t expect so many people to read and share it! I felt exactly the same as you, my granddaughter was diagnosed type 1 in October 2014 and it changed all of our lives. I also couldn’t believe that comment last night. Why don’t these programmes do any proper research into conditions before writing trite remarks into their scripts. Any people with diabetes especially children have a lot to deal with and don’t need television making light of a life threatening illness. So come on script writers do your research properly. 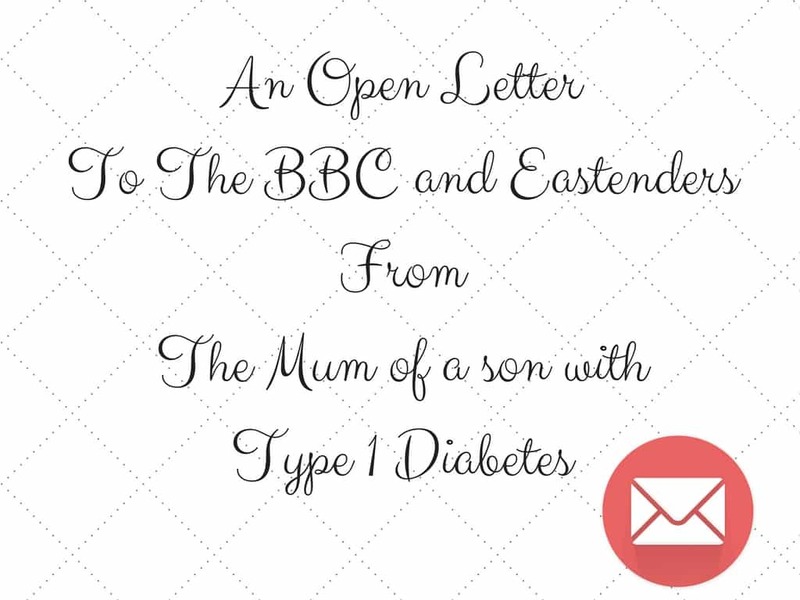 I’m a diabetes specialist nurse and that was such a heartfelt letter to the bbc. I get very irritated by diabetes being wrongly interpreted on the TV, unfortunately it’s rare for it to be understood. There are not enough nurses like me to educate everyone let alone look after all the people who have diabetes! We need a diabetes awareness campaign…. I was appalled by this on Tuesday because I am so sick of diabetes being the brunt of all the jokes about obesity etc & yes I want the public to know the truth about diabetes but the researchers for these shows need to get there facts right BEFORE writing diabetes into scripts. I have been a type 1 diabetic for 41 years & was diagnosed at the age of almost 3……I didn’t attend any parties wiith lots of sweeties previous to diagnosis. Way to go Stevie, great work! As you know I’m astounded that the BBC and Eastenders think it’s OK to make fun of children that are living with a life threatening condition. They are claiming that “Kim” isn’t a medical expert. That isn’t the point. It was a sick joke. For no other condition would this ever have got through the net. You don’t hear them laughing at Meningitis do you, why not? Because it would be sick and not funny and totally disrespectful to all those that have lost lives or suffered from these illnesses. I too have been overwhelmed by the response to my open letter, and if we don’t get the apology we deserve at least we have raised awareness. I no exactly how you feel. My son is 8 and was diagnosed 2 years ago. 5 injections a day, bloods tested every 2 hours!!! They have no idea what its like. Im disgusted some one can joke about something so serious. Hi, well said. I have Type 1 diabetes and although I didn’t watch the episode of Eastenders, because I don’t watch it at all anymore, I read about it on a couple of diabetic Facebook groups that I am in. One of the posts detailed the reply people were getting from the BBC, it was basically saying that because people know that Kim’s character is meant to be dippy then it would be be taken light heartedly by people watching. They sort of apologised, but everyone who complained was getting the exact same response, which to me seemed like they just could not be bothered. I wish I could remember the exact wording of the email back but it did not seem good enough at all. Thanks for contacting us about EastEnders. We’re sorry to hear you were unhappy with comments made by Kim about diabetes. Although we wouldn’t always condone the things our fictional characters do or say, it’s important for the sake of the drama that they be allowed to express views we might not agree with. Kim has long been established as a facetious character and her remark of “if kids don’t give themselves diabetes, it’s not a good party” was meant as a joke. We hope most viewers will appreciate that Kim isn’t presented as a medical expert and that she wasn’t speaking with any authority on the facts of diabetes. That said, your feedback has been noted and circulated to the programme makers. I completely understand your frustration. I have come across so many misconceptions in the 33 years of being type 1. I was really poorly controlled as a child not because my parents were doing anything wrong. A child with diabetes is hard work !!! Eventually in my 20s I got an insulin pump and can truly say this changed my life. I wish I had had one sooner. If your son isn’t on a pump I would def recommend, 13 years on I wouldn’t be without it. Good luck in your battle. I don’t buy this, it’s part of her character excuse. This is simply mockery of people with a severe illness and the lowest form of wit, surely the writers at the BBC can come up with better jokes than this or maybe it is time they go some new writers? Well said Stevie. I don’t watch Eastenders, or any soap for that matter, but it does sound like they were inconsiderate. I think you’re right, not enough is known by the public about Diabetes and it is often thought of as caused by eating too much sugar. That’s certainly what I thought until recently. Thanks for sharing and raising the issue. A brilliantly written letter. I have had type 1 for 33 years. I have witnessed bigotry and uneducated comments, and received many too. But really, in this day and age, with knowledge of the condition so much better than 30 years ago, I find it dispicable and disappointing that we still get situations like this. The BBC should know better. Well done for sharing this. Eastenders are actually in my good books at the moment because they are doing such a great job of the Postpartum Psychosis storyline but I must admit I didn’t notice the diabetes reference and that is very much not okay and offensive. I can sympathise with your thoughts as a parent of a seventeen year old daughter who was diagnosed at 5 with type 1. For years we have battled with ignorance, my daughter has always been underweight but still it hurts. I even heard the health minister on radio talking about the menace of diabetes being caused by bad diets and children eating too many bad foods with no reference to different types. Children who feel they have to hide their condition due to such comments because they fear ridicule can be put in danger!!!!. I would like to thank you for raising awareness of this awful condition. My husband suffers from type 1 diabetes and is that brittle he is waiting for a pancreas transplant. 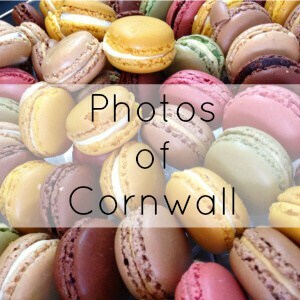 We have had many situations where people have blamed him for having low or high sugars. He too has been admitted to hospital on numerous occasions with either low blood sugar or ketoacidosis. He now wears an insulin pump and is on continuous blood monitoring sensors to try and keep him stable and safe until his transplant. After reading your letter we both said it is extremely hard for someone your sons age because children of that age just want to be able to live their life like their friends because unlike your son he has to be careful and constantly monitor his condition. Even pleasurable activities like cycling, playing football, going out to a disco or party has to be planned for because it can have such massive effects on a persons diabetes. Many thanks and I wish your son all our best for the future. I really hope he gets his transplant soon, and Type 1 really can be difficult to control. My son does actually have to constantly monitor his condition and be careful at times, but I can understand what you mean with your husband most likely having to test more often than the every 2 hours during the day that my son does. I hope the transplant improves things! I do not watch East Enders because I live in the U.S., but it sounds pretty disturbing with what they said about diabetes. My husband is type 2 I don’t think it is his fault. It is genetic because his mom has type 1 and has had it her whole life. He was just diagnosed this last summer and all of our heating habits had to change. I almost lost him due to his numbers being so bad, but now he is back to normal with talking medication, and should be checking his blood sugars everyday but he is struggling with that every day. Thank you for writing this blog post. It means a lot to me. Most definitely Kate and I have to say you DSN’s are a god send at diagnosis and onwards, you can really make the difference in those first few months as a support to the parents as well as the children. I didn’t know you could have both types, had to do a bit of google research after reading your comment to learn more. So sorry you also have to put up with diabetes, no matter what type a person has or why it’s always unfair as it’s an unfair disease. I’m really pleased to say the BBC have actually listened and in future whenever they mention diabetes on Eastenders (and I hope other shows!) they will be consulting with JDRF. I think there was such a big outcry on social media and other places online that they actually listened for a change. Thank you for writing to them. 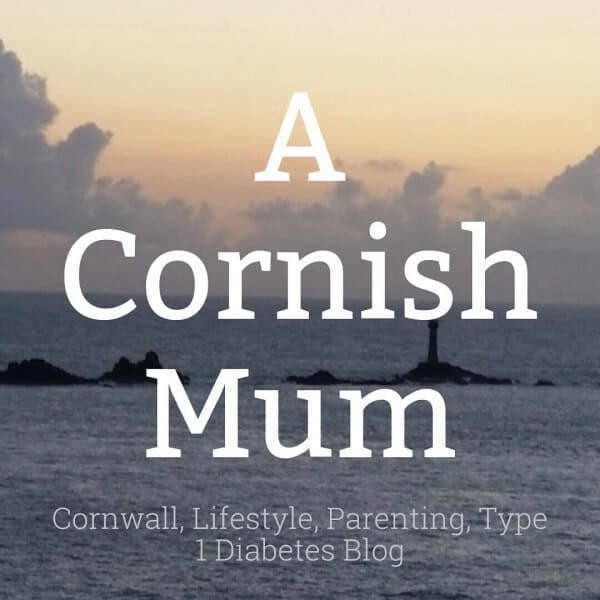 I am a mum to two Type 1s. My son is now 20 and my daughter is 15. I am staggered to see how badly Diabetes is represented on TV. With everything thing our kids have to cope with because they are T1 the last thing thing they need is people watching TV, who know nothing about Diabetes, being told that it’s been caused by eating too many sweets. I physically cringe and have written in to the BBC news on half a dozen occasions when they have conflated T1D and T2D together or failed to make the distinction in reports. The BBC news has an educational / fact based remit that shouldn’t make these errors, yet regularly does. I got one reply saying it was made clear in the item, but their clear and mine as someone who has been T1D for 38 years are very different. It’s shameful in any BBC output that this isn’t dealt with sensitively and appropriately. Good for you for flagging this. Thank you, I can accept the average man not having a clue about Type 1 and saying something completely wrong without realising, but someone as big as the BBC well then it frustrates and angers me in equal measures.